Happy Thanksgiving! 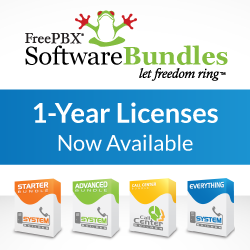 and “post bird” specials from the FreePBX Team. Happy Thanksgiving from the Schmooze, SIPStation and FreePBX Teams! Please be advised Schmooze Com Inc will be closed Thursday, November 28th in observance of the holiday. Our FreePBX and PBXact support teams will be available for our clients experiencing system outages with 24/7 FreePBX or PBXact Peace of Mind Contracts only. SIPStation support will monitor incoming tickets for critical outages and respond as necessary. Please feel free to open any non-emergency support tickets which will be attended to on Friday November 29th. Wishing you a safe and enjoyable holiday!